Let's get real. 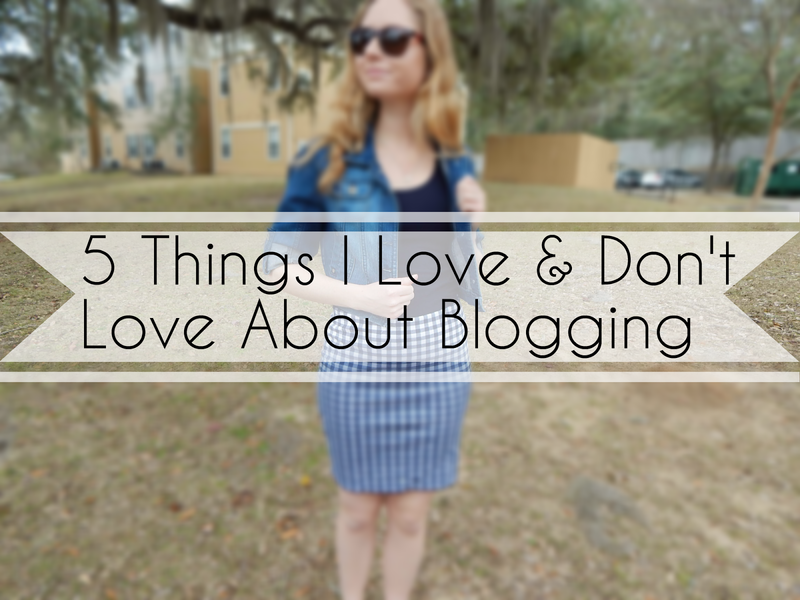 Here are 5 things I love and don't love about my past few months of blogging. 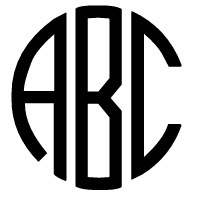 I started my blog officially in July of 2014. I have always had a continuous pattern of "ooh let me start a blog!" and then getting stuck in a rut to which I stop completely. This time I meant business. I was going to try my hardest to maintain a fashion blog. I love clothing. I love new makeup. I love accessories. And, most importantly, I love finding good deals. So naturally the name Affordable by Amanda was born! I recruited my friends and family to help me create some beautiful shots for my blog and will never be able to thank them enough for their help. I've had a few months experience in the "blogging world" and so I thought I would get personal today and share some things I love and don't love about it. I am a curious person. I get intrigued very easily and when I am scrolling on Instagram and find a cool new makeup tool I just have to ask about it. This blog has allowed me to follow some incredible people (shout out to a few faves Michaela, Nicole, and Catherine!) to get inspired and find more products to try. There is nothing I love more than helping people shop smart and find what they want at a lower cost. My blog has real life deals and steals that I shop myself. I like to save money any way I can and so I wish to create a place where other people can do the same! Dressing up has been a fun pastime of mine since I was little. When I was younger, I even dressed my sister and had her pretend to be my model on many occasions (love you sis!). I like to create digital memories of my outfits so I can look back and see what I have worn. I love styling outfits and hope to one day incorporate that into my career. Blogging has come a long way since the days when I pondered making a blog in 2007. There are so many aspects to a blog I can't keep up with them all! Social media has grown tremendously and creating your own "brand" has slowly integrated as a significant part of the blogosphere. Learning new tricks with my camera and how to interact with people on Instagram and Twitter has put me through a learning process that a classroom could not teach me! Ok, so if you see anything I post on Instagram or Twitter or the blog you know I love Rocksbox. Blogging also has some other perks, such as partnering with companies. Working with Rocksbox has been such a blessing (use my code: affordablebyamandaxoxo to test it out, oops I had to!) and I am looking forward to working with more brands in the future! There are times when all I want to do is blog, and therefore I delay my homework duties or wait until an obscene hour to eat dinner. Blogging can be a fabulous distraction from the rest of my responsibilities, and although I love devoting time to it, sometimes I use it as a way out of reality. When you've had a crappy day, smiling for the camera is the last thing anyone wants to do and posting pics wearing a huge frown is not going to make people read your blog posts. Sometimes I find the blogging world to be to unrealistic. In my mind I'm thinking...how do these bloggers do it? I can not be happy 24/7! I wish there was a way to compromise reality with living an unrealistic, perfect life. 3. Waiting for gratification with a "like" or "favorite"
The world we live in can be labeled as "Generation Like" (taken from a documentary I watched in Sociology class). Basically it shows how teens get a sense of status when their photos or funny statements get up-votes and likes. People are so caught up in getting the rest of the world to approve of them. I find myself doing the same thing. Constantly obsessing over how many people like what I post. In my opinion, the only person that needs to "like" what you say is you. I usually like to stick to posting about what makes me happy but sometimes seeing how other people blog creates this envious energy that has just started to take place in my life. I think, "wow! they have such great hair" and "I would love to buy a latte and take a cute picture of it, too". The competition is fierce and I don't like feeling like I don't match up. I'm just a Florida college girl who loves wearing Old Navy t-shirts and thrifted threads. I read about new products every day that are super popular and somehow I crave buying them. I find myself spending money I really shouldn't spend on makeup, clothes, and other things just to blog about them! Having the "latest and greatest" is something our society has crafted us to following even if we can't afford it. One of my favorite quotes is we buy things we don't need with money we don't have to impress people we don't like. That's all for this edition of my loves and not so loved parts about bloggin'. I am so happy to share them with you today. Please share some of yours in the comments, I would seriously love to hear if anyone else feels the same way. thanks for your comment! I always find myself comparing my Instagram/Blog to others and immediately feel let down because I think I'm not at a certain level that they might be at! I hope I can work on this more and realize that it's important for me to just do my own thing :) Have a great day! I really feel the stress of #3, especially since I got a lot more comments when I was starting out versus now. It can be so frustrating. I agree with everything you stated! But on the possative side always stay true to yourself and know your blog is as great as everyone elsies or even better! When it comes to likes and comment, there are people out there who don't type a thing but they like and always come back. PS: great blog hun and always push for the best! great advice! staying true to you is a motto I live by. thanks so much for the feedback and the blog compliment :) have a great day! Great insight - I like how honest and authentic this post is! I feel the exact same way still trying to navigate myself through the blogosphere's ups and downs. This is very true! I have started a new blog, and I have had another in the past, and I have always found that I am constantly comparing my blog with other peoples. I also have trouble managing my time, but blogging is something I love. It's an easy way of connecting with other people over things we have in common. I'm a new reader of your blog and I love it!